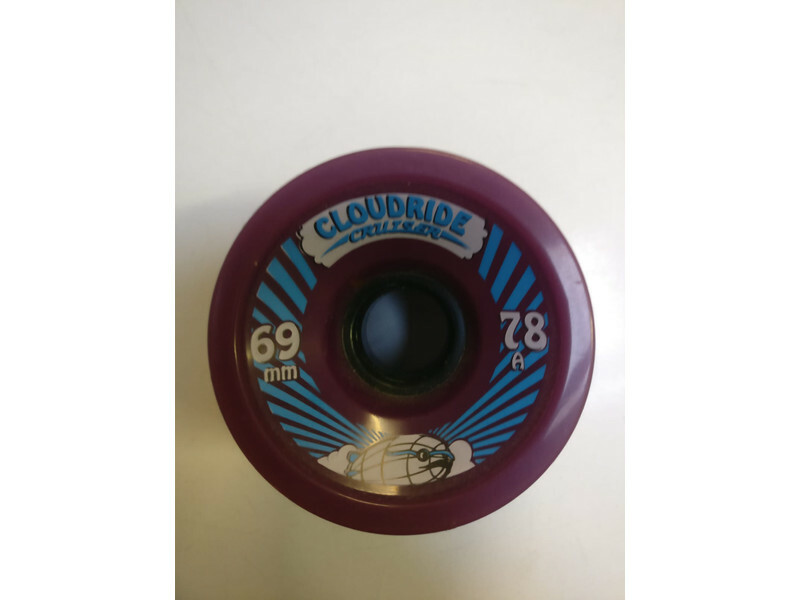 Our Cruiser Wheels, the Cloud Ride Cruiser were designed to be ideal for carving and cruising, but are also one heck of a freeride wheel! The high rebound urethane is well-suited any type of riding. It will leave fat thane lines but is surprisingly resilient! The square-lipped design grips when you need it but can still be pushed out for a smooth slide thanks to the characteristics of the urethane itself. 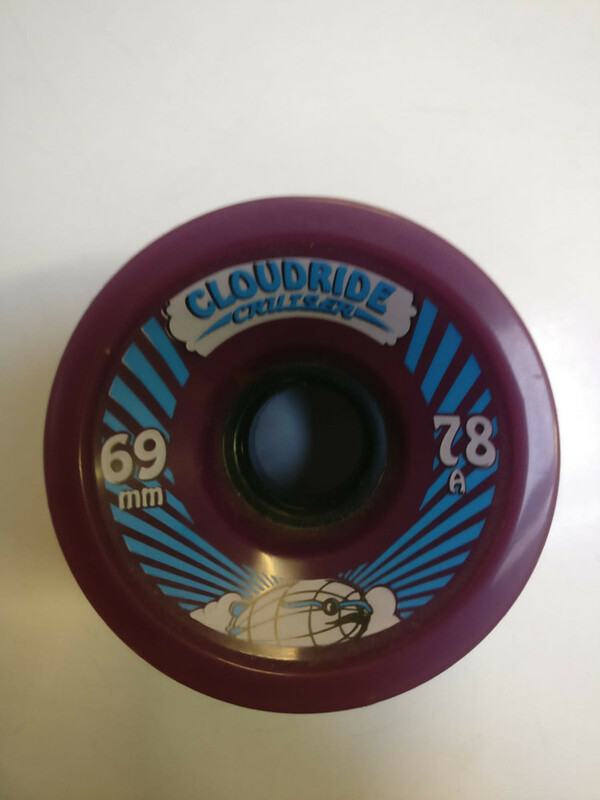 The wheels measure 69mm in diameter, 78a in hardness and are sold in a set of four wheels. Each set weights roughly 1.45 pounds.